at least on the latter score. by the famous Italian film composer Ennio Morricone. this thread, but it's so good it's worth mentioning again and again. are just great, what an awesome synth-setup! I've probably mentioned this before, but I had the opportunity to work with Shirley Walker several times in the late 70s to early 80s. An awesome player with incredible jazz chops, and one of the most genuine people on the planet. She once told me when she was in the Bay Area, she met George Duke: "What a nice man!" She left us way too early. mentioning that synth in any of the emails I've received from him. Very interesting! I had never read that before either. That's kind of a specific synth to randomly mistakenly mention though. one on Terminator (I might be wrong about that though). Btw, the sound quality of the new Terminator CD is absolutely great! Micke wrote: Btw, the sound quality of the new Terminator CD is absolutely great! Finally listened to it and agree. I like finding sounds i've never noticed before, although I don't know if it's because of the new version or just that I've never listened as closely before. 4 onwards). Hoffert's opening music continued to be used for the subsequent episodes though. It sounds like Hoffert used analog synths for the most part when scoring the three pilot episodes. Rubini on the other hand used the Synclavier predominantly. the TV-series Hitchhiker, including the opening music which was used in all episodes (even in the later ones scored by Michel Rubini and Shuki Levy). Oh man. That's such a classic movie, too. I think it's been lost to some degree because it doesn't fit that John Hughes/Brat Pack vein, but I like it for its quirkiness and darker humor. And of course the great soundtrack. Can someone please remove this spammer! Micke, any idea what David Michael Frank used in the late 80's/early 90's for his action scores? 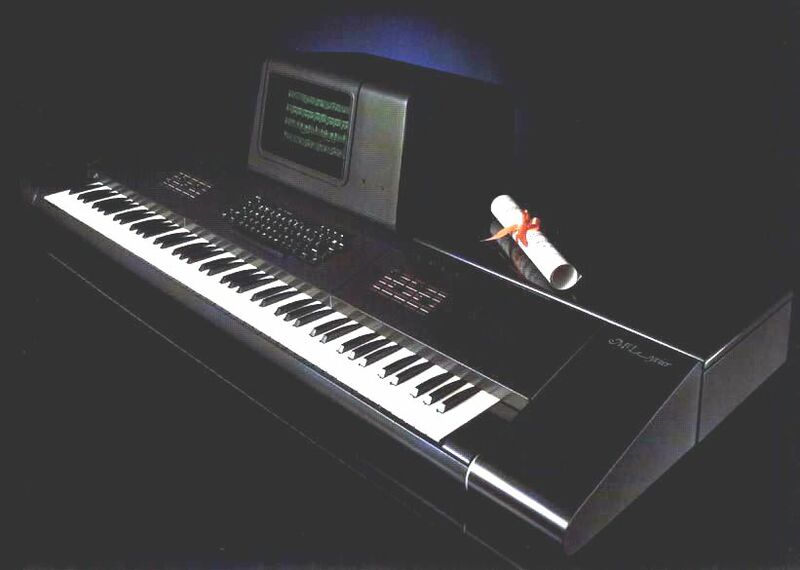 Was it a Synclavier? Those heavy percussive bass sounds are fantastic.